Graydon Hall Manor is the best winter wedding venue in Toronto. It is one of the places Sherry and I like to shoot at most because of the feel you get while being there. 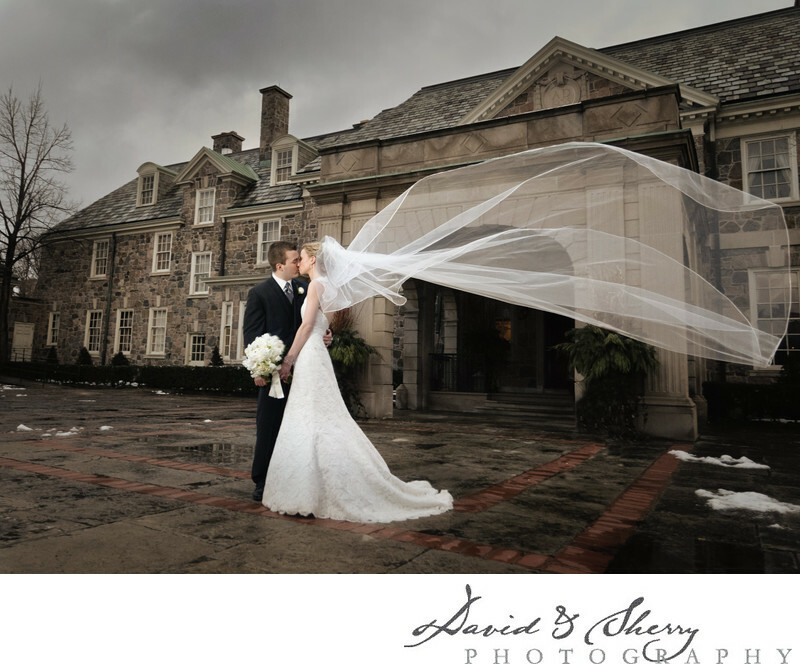 Weddings held at the mansion are luxurious, stylish, and full of wonderful service. The staff takes great care of their guests and cares for their needs. The food prepared by couture cuisine is always delicious. Fresh quality ingredients and beautiful playing and flavour help add to the feel of the event. Photographing events is made much more unique here because of the beautiful architecture, landscaping and space in the courtyard both in front and behind the manor. In he evening the options are endless where we can take couples for night shots which helps add to our unique style. Tom and Kate hired us because they loved our couplescapes and our fun personalities. These two professionals were so much fun to be with on the wedding day and they chose small red and burgundy florals with candles to accent their reception. This gave a pop of color to each table in the room and once the lights were out they shone beautifully. The marriage took place inside the carriage house while they were surrounded by their family, friends, bridesmaids and groomsmen. Candles again added to the ambiance of the space. Kate's bouquet was created by Stemz and her cake was made by Bobette and Belle. Michael Coombs kept the dancing going late into the evening with a perfect blend of upbeat dance music and slow songs which kept everyone out of their seats all night. When we in Canada have luxury winter weddings we have to choose venues that allow beauty to go along with the white snow and cold which comes with it and we were so happy we got to take pictures at this Union when there were great big fluffy flakes of falling from the sky. Location: 185 Graydon Hall Drive, Toronto, ON M3A 3B1 .